Add flour to a small bowl; set aside. In a shallow bowl mix milk and egg; set aside. In another shallow bowl combine bread crumbs and coconut; set aside. 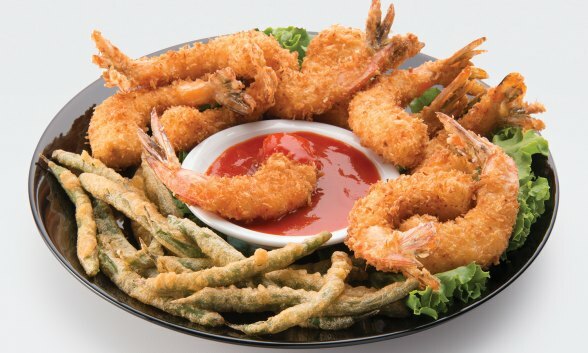 Working one at a time dredge shrimp in the flour, dip into egg mixture, and then dredge in coconut mixture. Pat shrimp to make sure coconut mixture adheres. Fry until golden brown, about 2 to 3 minutes. Do not overcrowd. Drain on paper towels.